One of the keys to getting your tracks placed is writing tracks that work in the context of television and enhance and support the overall dialog and feeling of the scene. Building "tension" and suspense is one of several very common feelings and emotions that music is used to evoke in the context of music licensing. Check out composer Eddie Grey's approach to creating "tension cues" below. GO PREMIUM to access the full webinar, and new ones like it, posted every month. Mark you calendars premium members! Eddie will be discussing some of the techniques and ideas presented in his latest course, How To Write A Track For TV In 60 Minutes Or Less, and will also be taking your questions live, in real time, throughout the webinar. If you're a premium member, you can watch the stream live on Sunday, by logging into the member's area and going to the "Webinars" page. I'll put a big, visible link at the top of the member's home page a few minutes before we go live on Sunday. If you're not yet a premium member, be sure to register here, to access our monthly webinars, daily licensing leads, in depth courses and much more. Premium members get access to hundreds of hours of in depth training, monthly webinars, in depth music business courses, hundreds of interviews with leading music licensing and music business insiders, music industry directories, ebooks and more. If you register as a premium member between now and Sunday, you'll save 50% off the full price. Want to get a sneak peek inside our upcoming course, "How To Write Tracks For TV In 60 Minutes Or Less"? 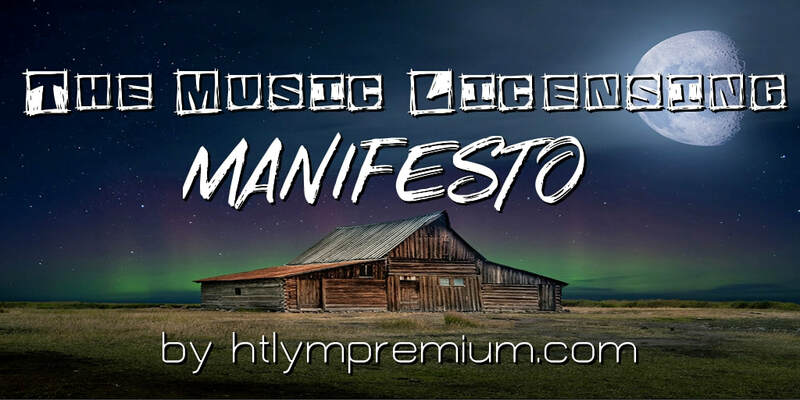 As I mentioned previously, we're about to release our latest course here at How To License Your Music Premium, created by composer Eddie Grey, called "How To Write Tracks For TV In 60 Minutes Or Less". Being able to create tracks quickly and efficiently is key in terms of success in licensing for two reasons: 1) It allows you to create music for specific projects that often times have a very quick turn around. 2) It allows you to simply create tracks more quickly, in general. The more tracks you have, the more money you can potentially make. This is the third course Eddie has created for How To License Your Music Premium. Eddie has also been a guest on my podcast several times and has done two webinars with me for members of How To License Your Music Premium. Eddie has been an amazing asset to our community the last couple years. He has a wealth of knowledge about the industry he's accumulated over the course of 10,000 + placements and has an obvious passion and skill for sharing what he's learned. Eddie started as a student of How To License Your Music.com over five years ago and he's gone on to become a powerful force in the music licensing space. I had the chance to meet Eddie in person in LA in 2017 when Eddie spoke at an event hosted by How To License Your Music.com. I even got to go to his apartment and spend a couple hours with him, discussing his approach to licensing, recording, life as a musician and more. I was so impressed with what I saw in person, that I somehow convinced Eddie to join my team here at How To License Your Music Premium and he's gone on to create three amazing, in depth courses. Today I thought I'd share a replay of a webinar I did with Eddie Grey and my producer, Gary Gray, last year, on the topic of how to write instrumental cues for TV. In this hour and twenty minute video presentation, you'll get a sneak peek inside Eddie's home studio in L.A. and his thought process when it comes to crafting music specifically for TV. You'll get to see, up close and personal, why I'm so excited to have Eddie on board as a part of the team here at How To License Your Music Premium. Stay posted to this blog and my newsletter for more information regarding our upcoming course. In the meantime, check out the webinar with Eddie Grey! Today's post is a guest post from TV composer Eddie Grey. Eddie recently created a new course for How To License Your Music Premium that we'll be releasing later this week all about how to write songs for TV (and beyond) quickly. One of the keys to success in licensing is being able to create music on demand for opportunities that arise. In many cases these opportunities will be last minute and there won't be a lot of time to just wait around until inspiration strikes. You need to be able to act when opportunities present themselves. It's also helpful, generally speaking, to have a large catalog. The larger your catalog, the more opportunities your music will work for and the more money you'll make. It's really that simple. The quicker you can create new tracks, the quicker you'll be able to grow your catalog to a point where it's earning substantial revenue. In Eddie's latest course, he breaks down how to write songs that work for TV in an hour or less. I'm stoked for this new course because it presents a really important piece of the music licensing puzzle that I haven't seen addressed previously. I'll send a separate email about that later this week when the course is released. I wrote a song sometime ago about climbing up the ranks in the world. This was before I had any national placements, before I landed songs on trailers, before landing huge deals with T.V networks, before selling half of my music library for $20K, before I had any clients whatsoever, and before knowing anything about music production. I based those lyrics on every “Adult” I had ever met in my life. It seemed as if they had sacrificed a major part of themselves in order to be comfortable. I always felt that too much comfort was a dangerous things. Comfort can kill you, if not physically, then perhaps spiritually. There is one thing I have always been sure of and that is my keen ear for Music. I knew what I wanted it to sound like. To be specific, I remember attending a seminar and there was a live band playing there.I was dissecting there musical choices as if my life depended on it. The only person that cared about the music was me in that room and I acknowledge that. That is what makes us Creatives, we think diﬀerently. We obsess about details that no one else pays any mind to. “YOU HAVE TO HAVE MONEY TO MAKE MONEY”. The one theme tying all of these pursuits is my one first true love “MUSIC” (my muse). If you would of told me, 10 years ago I would be living this life….I would deem you a heretic and a fool. It is I who was the fool as I never saw the “POSSIBILITIES”. Ever since I could remember, I always saw my life through a small scope. I always had these false expectations of what success would be. “This is NOT going to solve all of my problems”. I had it in my mind that if I broke through this fake ceiling that all of my life would somehow “make sense”. It was a major letdown as I had to re-adapt and re-assess my entire game plan for my family and I. The future did not look bright through these lenses. Once I got over the fact that “SUCCESS” was not real. I got back to the only thing that has ever worked for me and that is “WORK”. Head down, pedal to the metal, grinding it out, singular focus….day in and day out. ​When I shifted my attention to WHAT I COULD CONTROL, things started moving rapidly. This is when the real shift happened as I now see that our success is determined completely by our eﬀorts. The law of cause in eﬀect is quite real. If you plant a seed, harvest it, water it, and nurture it in the proper environment, it will grow. It does not “self-analyze” and think “When will I grow?” “How much will I grow?”….it merely lets go and things naturally happen. Earl Nightingale says that the definition of success is “the progressive realization of a worthy goal”. If you take this maxim, you and only you, can decide if you are truly a success. Do not let the world dictate your worth, this is your life, and it is up to you to choose happiness and to live the way YOU wish to live. “Fall in love with your life today and CHOOSE all of your life this very moment. When you truly embrace everything (including your current work) and you aspire to be the very best at everything you do…things will begin to evolve”. How can you receive more if you have not perfected and made the most of the current moment? I wish you the very best in ALL of your endeavors. In my latest podcast I speak with TV composer John Delvento about how he's been able to create a six figure income writing music specifically for libraries. Learn what it takes to build up a solid full time income by writing music for libraries in the latest episode of Music, Money And Life. There's a right way and a wrong way to go about trying to get your music heard by music supervisors and music libraries. If you approach music supervisors the "right" way, you'll get your music heard and hopefully licensed. If you approach supervisors the "wrong" way, you'll most likely just have your messages ignored and your music won't even be listened to. In the following video clip, I speak with TV composer Dario Forzato about the right way to approach music supervisors, publishers and music library owners, so that your music will be heard, and people will want to work with you. I was talking to a client a few weeks ago, who was trying to figure out how to make more money from his music via licensing his tracks in tv, films, etc. This particular client informed me that he had made about $2,000.00 from ten of his tracks over the last five years or so. The problem though, was that these particular tracks were signed exclusively to a publisher and for many years he couldn’t get the rights to these tracks back. He hired an attorney and spent several years fighting to get out of the contract he had signed. Eventually, after what I can only imagine was quite a bit of money, time and frustration, the publisher representing these tracks agreed to give him the ability to sign these tracks to other companies and license them elsewhere. In the end, he was able to make a little extra money with these ten tracks, but he still wasn’t thrilled with his results. This particular client came to me, mainly looking for advice on how to improve his success in music licensing and figure out how to make more money with his music. One of the things I love about working with clients like this, is that I often have epiphanies and realizations as a result of listening to someone else express their challenges and frustrations. I’m sometimes able to express ideas in new ways, that lead to greater clarity for both myself and my clients. I often have “aha” moments that help both myself and my clients better understand this crazy business of ours. With this particular client, I had a realization that I guess you could say was a twist on something I’ve known for quite some time but had never quite been able to articulate as succinctly as I did with this particular client, during this particular coaching session. Well, to put it very simply, your musical output will determine your income. In other words, the more tracks you create, the more money you’ll make. Pretty obvious right? It should be, but I think a lot of us have blind spots and get stuck on our musical journey, getting bogged down in worrying about things like getting out of bad deals we’ve signed, worrying about our rights and how to best monetize our individual tracks. And these are all valid concerns. We should think about these things, at least to a point. We should be careful about signing bad deals and not getting locked into deals we can’t get out of. I’m sure we’ve all probably signed a few contracts along the way that we wish we hadn’t. I know I have. If you’ve been in the licensing game long enough, you’re going to learn along the way, and sometimes we have to learn the hard way, by making mistakes, or by making what seem like mistakes in retrospect. With this particular client I was talking to though, he had spent a lot of money and time trying to undo a deal he had signed. He got sort of stuck on trying to undo this deal he had signed an in his mind, right a wrong. These tracks were his and he wanted them back. In my estimation though, his energy and effort would have been much better spent had he focused it elsewhere, on more productive things, like writing and creating new music for example and developing new contacts in the business and generating new revenue streams with his music. It's better to look forward, than look behind. If you’re able to make $2,000.00 from ten tracks, (which isn’t a bad return in the grand scheme of things) what if you had a catalog of 100 tracks? Assuming the same rate of return, you’d make about $20,000.00. Now extrapolate that even further. What if you had 500 tracks earning the same amount of money? This would net you $100,000. What if you had 1,000 tracks that brought in the same amount of money per tracks? This would earn you about $200,000.00 and so on. I think you can see where I’m going with this. To a large extent, our income in the music business, and in particular for things like music licensing and music streaming, will be determined by how many tracks we have in our catalog. Every single client of mine who has gone on to earn six figures a year licensing music, has a large catalog. 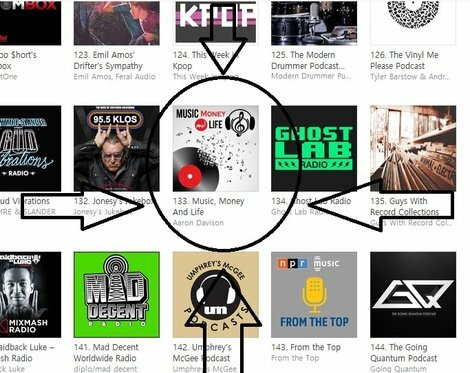 I've also interviewed hundreds of songwriters on my podcast, and again, without exception, the songwriters making a substantial living from licensing have large catalogs. Now of course, there are a lot of other variables. The size of your catalog isn’t the only determining factor in licensing. There are other things, like the tracks themselves, how “license-able” and accessible they are, the connections you make and so on. There are a lot of different factors that will contribute to your success. But, the size of your catalog and how many tracks you have available to be licensed is a key factor. One of the things you should be focusing on, at all times, is creating more music, so you have more music to license into more opportunities. It’s also one of the few things in this business, YOU have complete control over. If you’re trying to make more money from your music, a great thought experiment is to simply look at how much money you’re making per year from your music, divided by the number of tracks in your catalog. This way, you can get a per song average of what your tracks earn. Then just extrapolate out. So, for example, if you made $1,000.00 from your tracks last year and you have ten songs in you catalog, each song is earning on average about 100 dollars. Want to increase your income to $10,000? You’d need 100 songs, based on this rate of return. To get to $100,000.00, you’d need 1,000 tracks. Like I said, there are obviously other factors, but one of the easiest and most straightforward ways to grow your revenue from your music, is to simply make and license more of it. I’ve made as much as 5k per placement and if you're lucky, there are placements that earn much more than that. The problem though, with focusing on how much you earn per particular placement, is that you don’t entirely control when and where your tracks are used. You can influence this by more actively pitching your tracks, making new connections and so forth. But you can’t directly control it. What you can control is the music you make. How much of it you make. What you make music about. Where you make it available and so on. Your musical output will ultimately determine the size of your income. Want to get a totally free, four hour course, on how you can make money licensing your music in tv, films, ads and more? For a limited time, I'm giving away my newest course, The Ultimate Music Licensing Guide, free of charge, no strings attached. This course took me months to create and I normally charge $77.00 for the course, but I've decided to offer it for a limited time absolutely free of charge. I'm so excited about the information and how much it can help you, that I want to give it to you. Sign up for my free newsletter below and I'll send you the course to check out, for free!